Well, I seem to have got off on a classic Minolta lens binge at the moment. Minolta made the first popular auto-focus camera back in 1985, with the Maxxum (or Dynax) 7000. This was followed by a series of new AF lenses for this mount. These replaced the existing manual focus lens (MD or MC). In the film era, camera companies tended to produce lenses with slightly different characteristics. For Minolta, the thing that made their lenses stand out was the colours. They had a colour fidelity and richness that appealed. If you ever hear some photographer talking about ‘Minolta colours’, that’s what they mean. I’m finding as I do more landscape photogaphy, this is what appeals to me. As an indication of the lead Minolta built up in the 1980s, they had the first auto-focus 100mm macro lens. This was such a superb design, the modern Sony lens equivalent has made only minor changes to it. I acquired the RS version yesterday (this model went out of production in 1993). I wanted to see how it lasted, so gave it a try with my a900 last night. These two spider shots are all done in manual mode. I’ve selected both the exposure (shutter speed, aperture) and the flash setting for my twin flash. 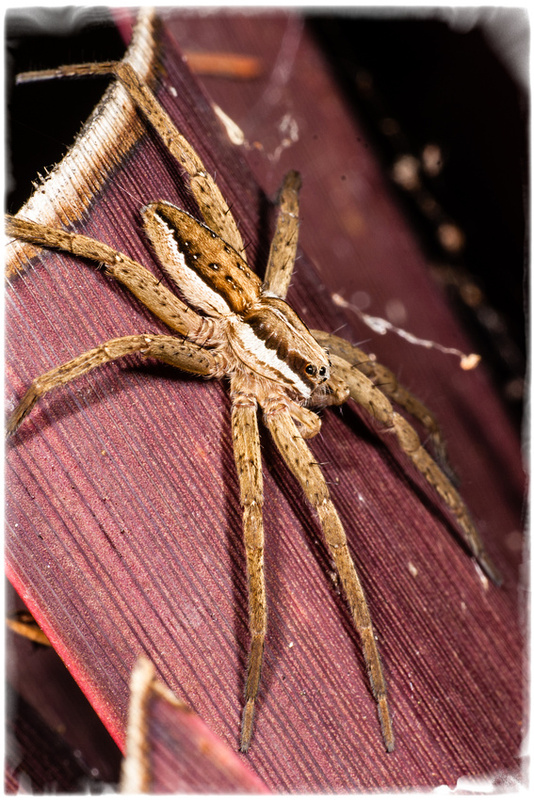 The first spider I saw was a juvenile nursery-web spider- Dolemedes minor. It was on some pruned back flax. 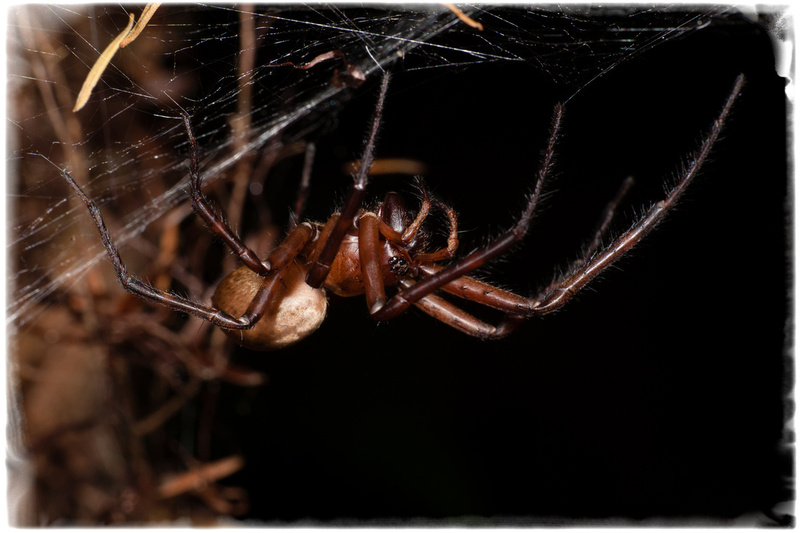 The second was the nervous and wary Cambridgea sheetweb spider. By this time one of the local cats had come to help me. Despite this not being fully mature, I didn’t need to crop this pic at all. Well, the good news is that the lens is in near perfect order. Despite its age and who knows, how many owners, this has survived nicely.